Hey Taylor, didn't see ya there! 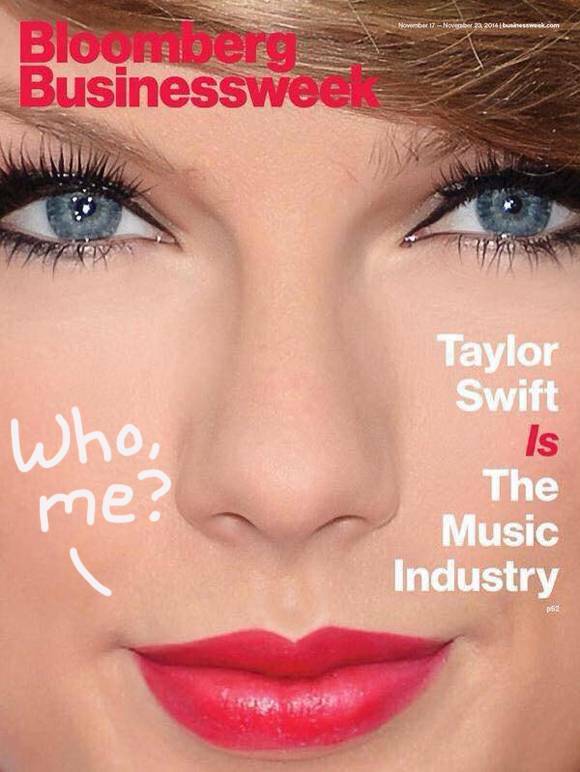 In case you couldn't tell, Taylor Swift covered Bloomberg Businessweek and it was about her role in the music industry. Excuse us, we mean, her role as the music industry. The 24-year-old really is having an amazing 2014, and the business mag detailed her work with her label Big Machine, 1989, and her Spotify scandal. In the article, Big Machine CEO Scott Borchetta gave his insight into the pair's decision to pull of TayTay's music from the app. That's a really good point! Taylor doesn't owe Spotify anything and can do whatever she pleases with the music she makes. P.S. Nobody else would be able to look that cute that close-up.